Last Friday night after work we had a bit of a ‘do for a girl who is leaving in a couple of weeks, as well as a baby shower for another who is heading off on maternity leave. 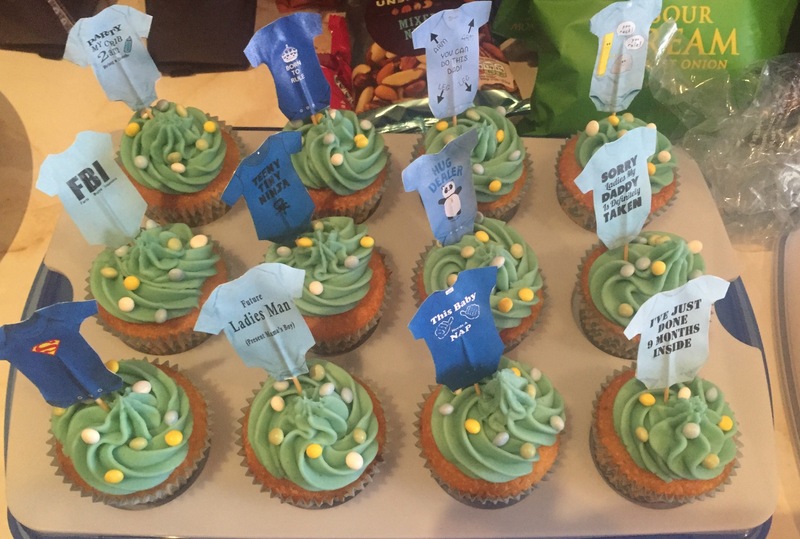 as I have done for baby showers in years past, I agreed to make a batch of baby themed cupcakes for the occasion. I actually had to make them on Wednesday night as I had my first wedding dress fitting on the Thursday so I had to choose a cake that would stay relatively moist (sorry) by the time Friday night rolled around. 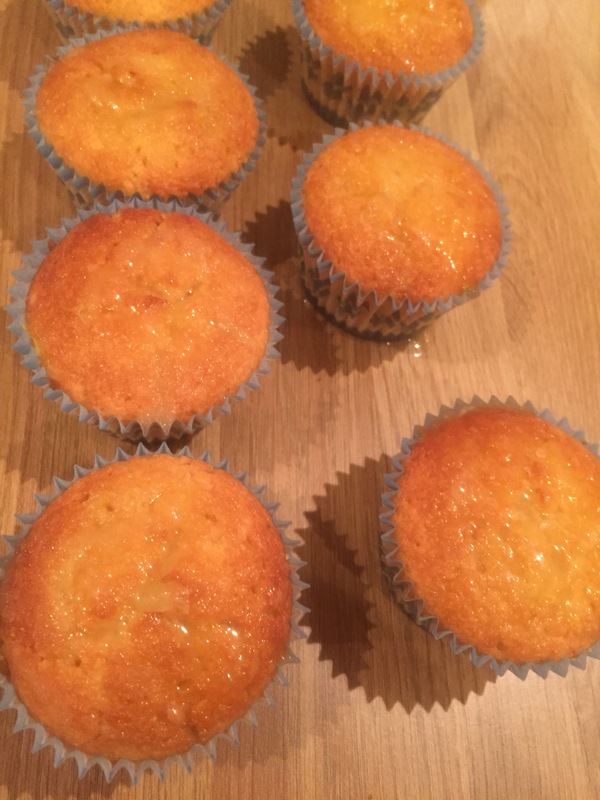 Due to the baby boy cupcake cases I had being white and pale blue, I thought the obvious chocolatey choice would be too dark and hence would show through the cases so I settled on a much more baby-friendly lemon drizzle – a family favourite with a lemony syrup to keep the sponge tasting fresher for longer. 1. Preheat the oven to 160c fan, with the shelves nice and low so that you can slide your pan into the centre of the oven. 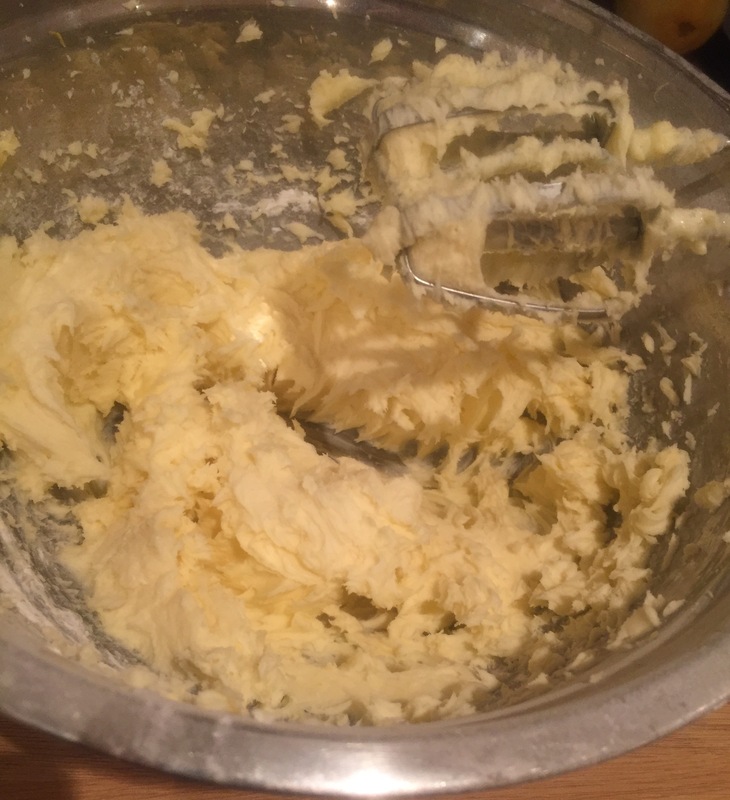 Weigh out the butter and give it a good old whisk up with an electric whisk (or a wooden spoon if necessary). 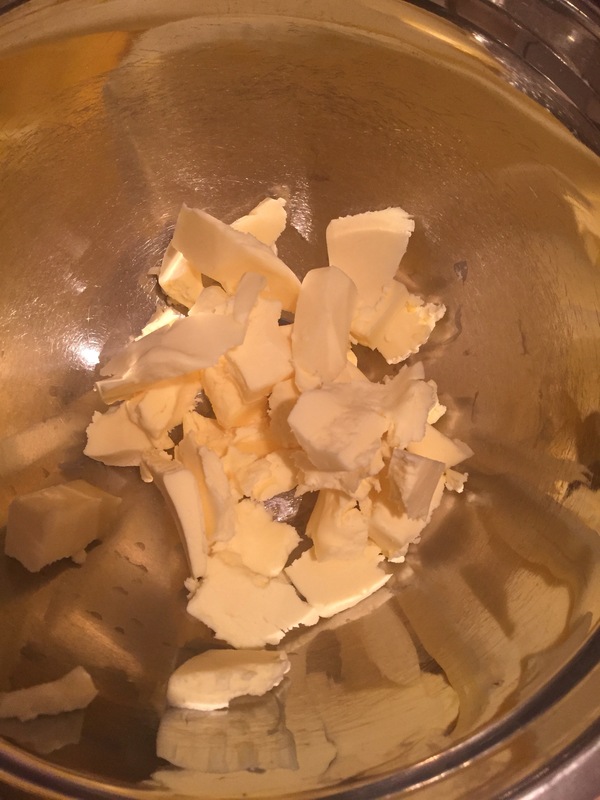 It helps if the butter is at room temperature but you don’t want it to be melting. 3. 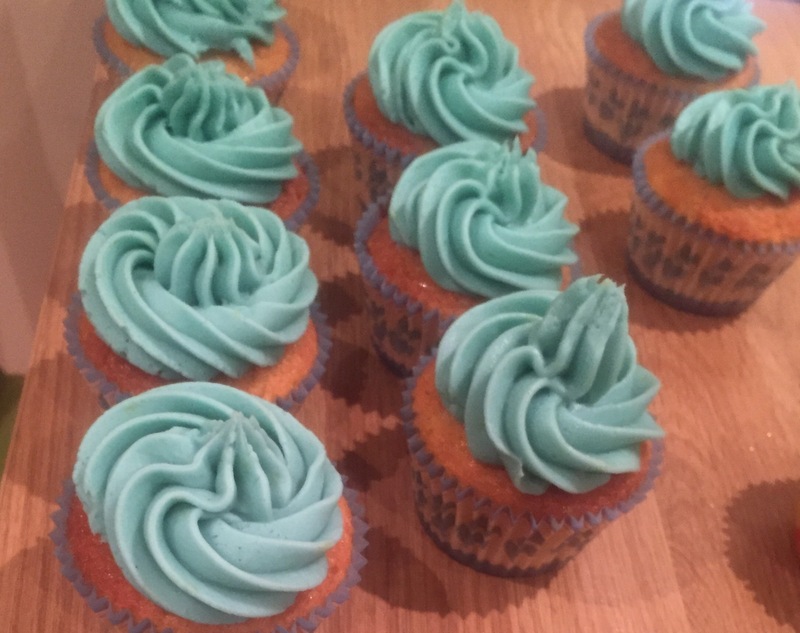 …and whisk it up again. 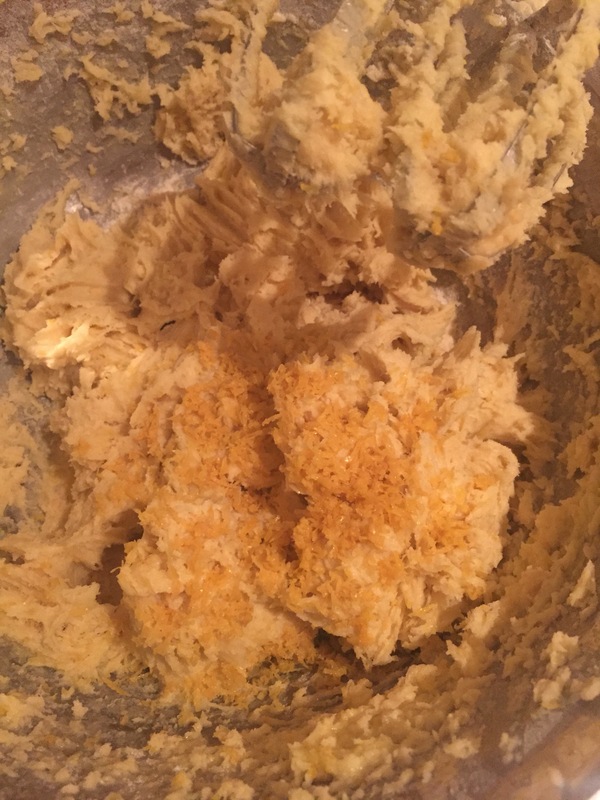 Give it a few minutes to allow the ingredients to combine and become really soft and fluffy. Next, crack in and combine the eggs one at a time. 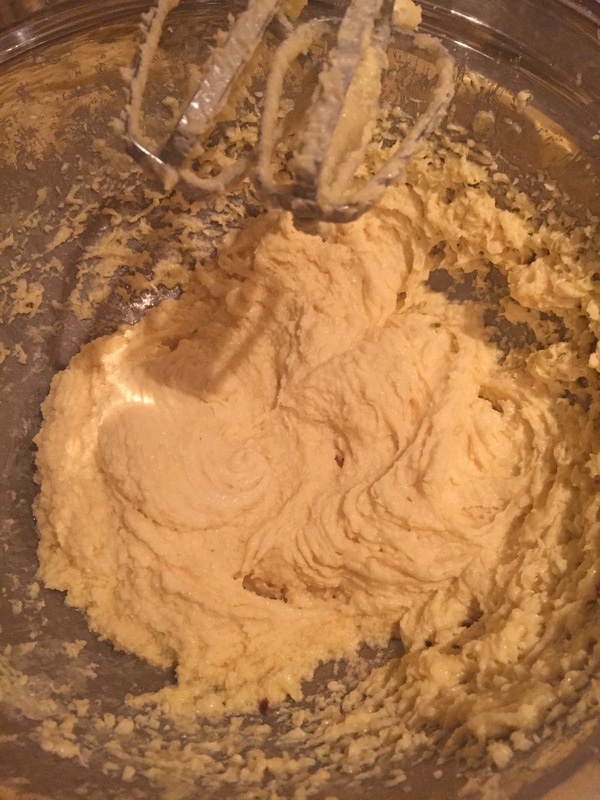 4.Whisk again for a good 5 minutes or so until the batter is really light and fluffy. This is your best chance of achieving an aerated batter. 5. 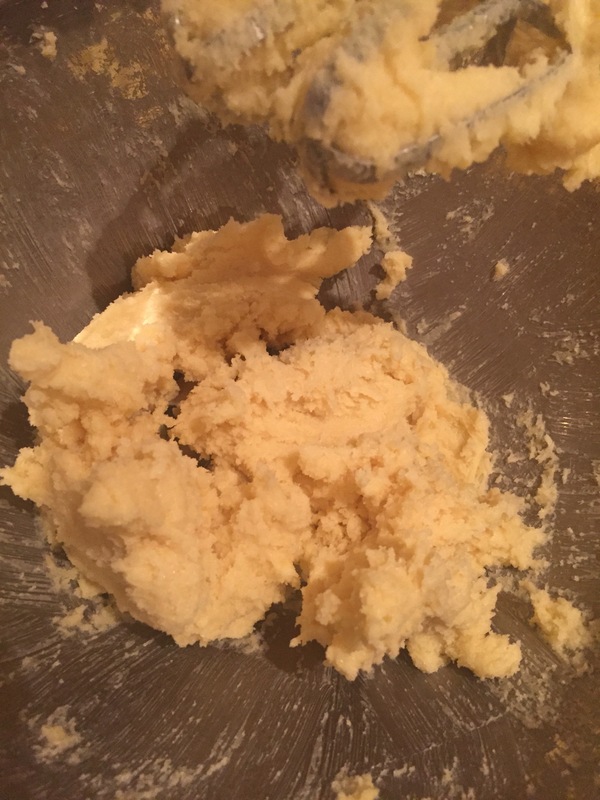 Carefully fold in the flour until everything is just combined (too much mixing and you’ll end up with hard, dry cakes). 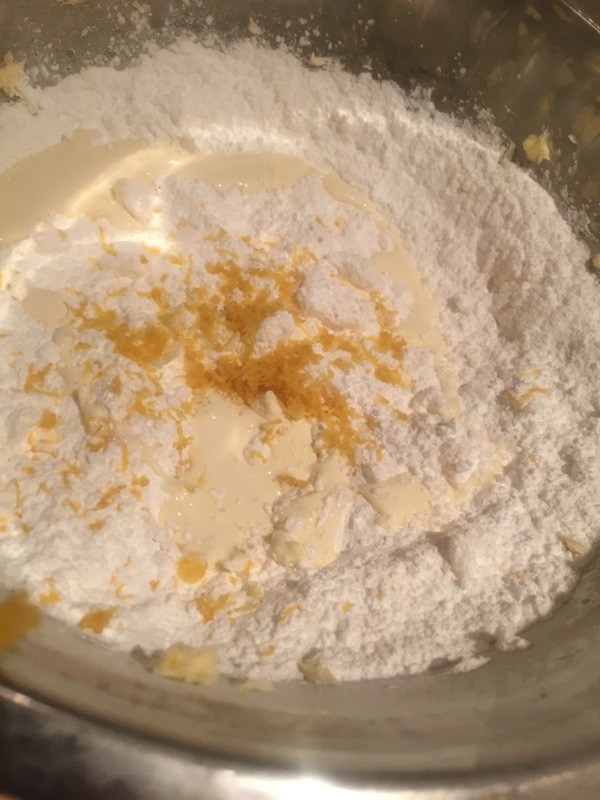 Then add the zest and juice of one lemon, plus 2 tablespoons of the double cream. Mix until just combined. 6. Set out 12 cupcake cases into a 12 hole muffin tray and fill each case about 2/3 full. 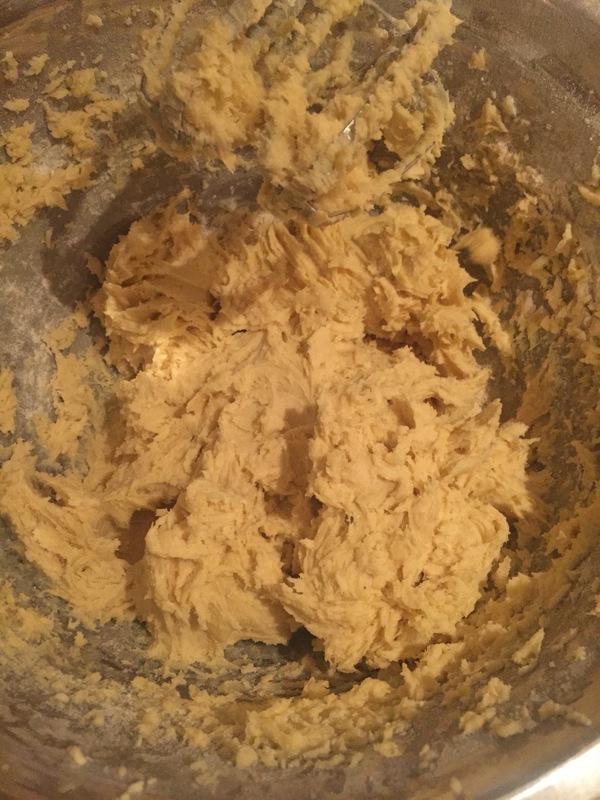 This is quite a generous recipe so I actually had enough batter left for another 2 full-sized cakes and a half-sized chef’s perk morsel, although you may wish to divide the extra batter between the 12 cases for extra large cakes. 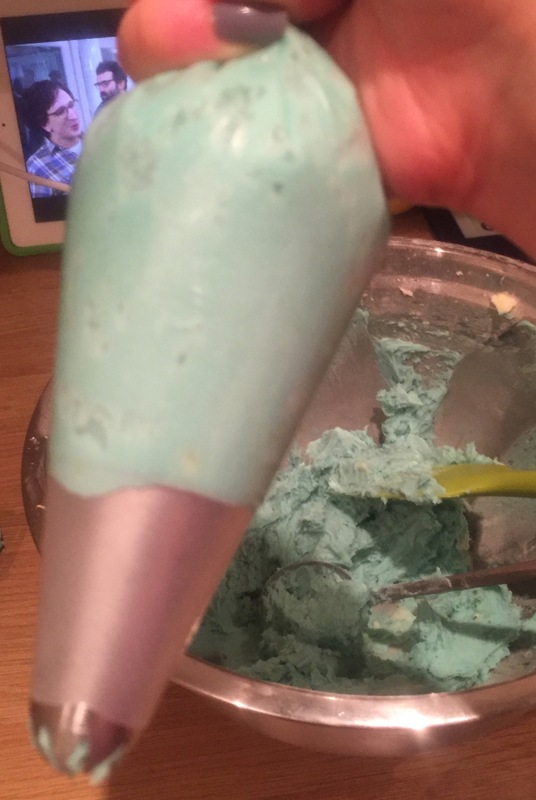 Some people like to use an ice cream scoop to get their portion sizes nice and even but I generally just freestyle it and risk my eye judgement being a little off.
. Slide the tray into the oven for around 20 minutes, or until risen, slightly golden and springy to the touch. 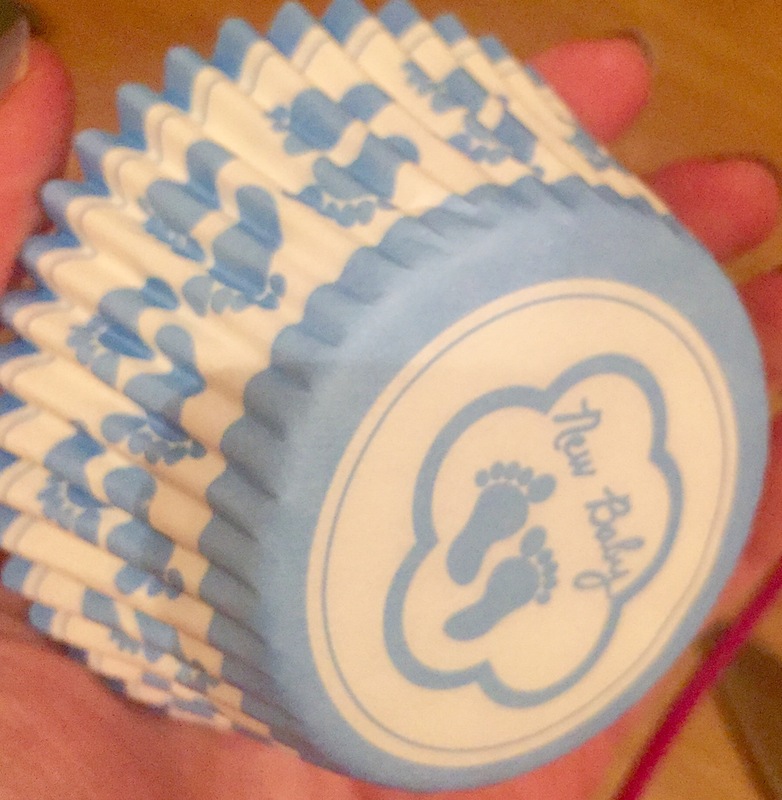 These are the cases I used, by the way – I bought them a couple of years ago at a local cake shop, but you can find them all sorts of places, including the good old interweb, or just use plain blue if you can’t find baby themed ones. Of course, you can make these cakes for any occasion, just change up the decoration. They’d be lovely for Easter actually. 8. 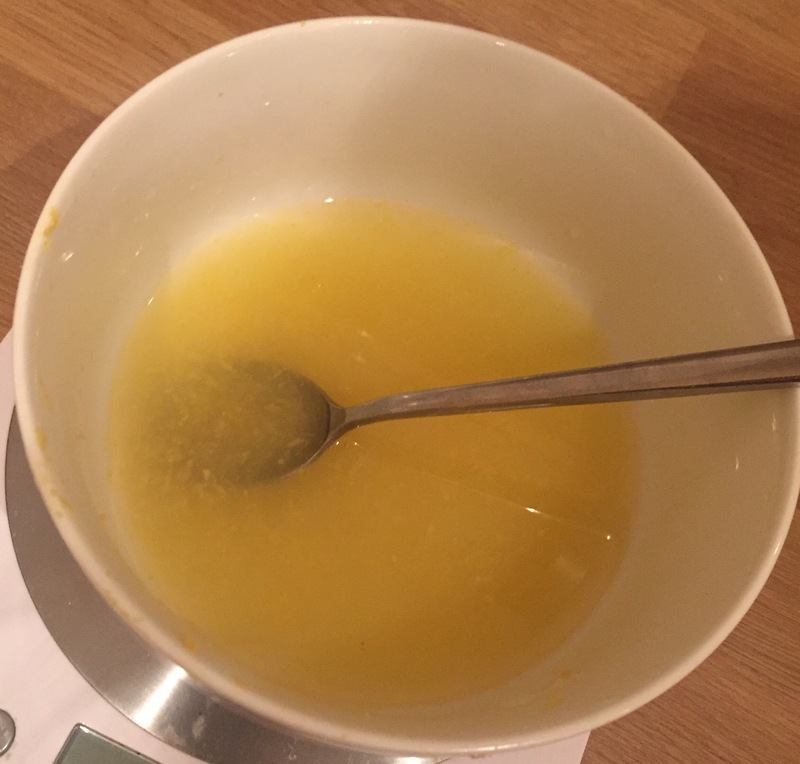 Meanwhile, add the juice of 1 lemon and the zest of 2 lemons to the rest of the caster sugar and mix well. This is your drizzle. 9. 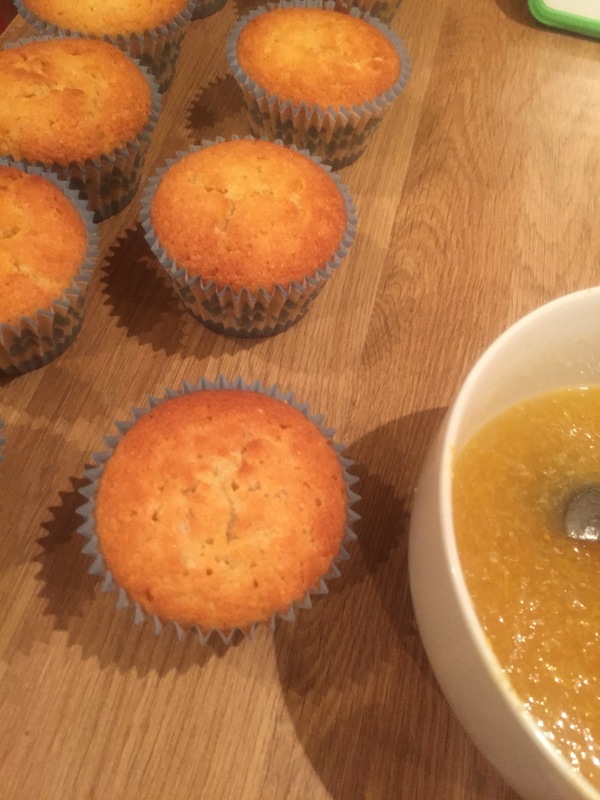 When the cakes have cooled to being just warm to the touch, pierce holes into the top of each cake with a cocktail stick then gentle drizzle a few teaspoons of the drizzle mixture onto each cake, giving it time to soak in. If you go too quickly it might slide right off again. 10. 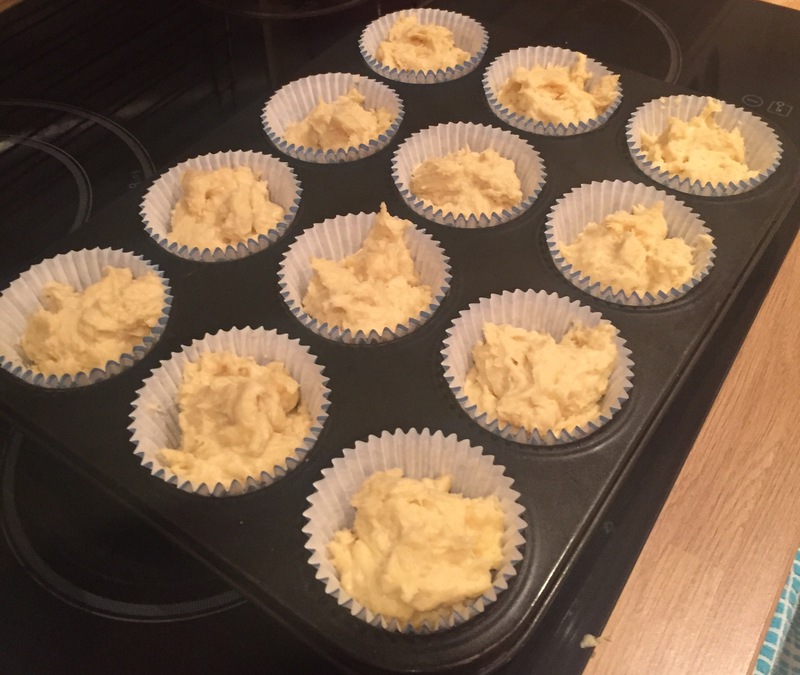 Whilst you’re allowing the cakes to cool to room temperature, you can prepare the butter icing. 11. 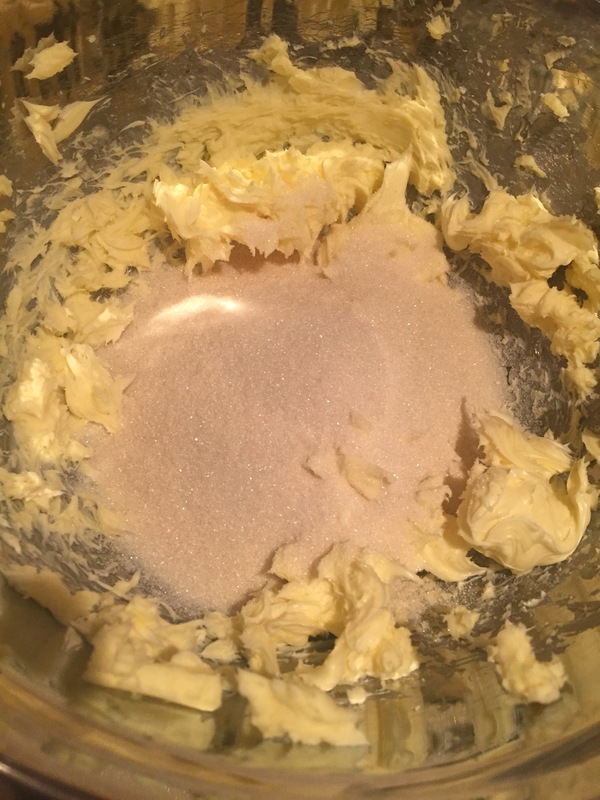 Weigh out the butter and whisk it up until soft then add the icing sugar, zest of one lemon and 4 tablespoons of double cream along with 1/2 teaspoon of vanilla bean paste or extract. To avoid the sugar clouding up too much, you might want to start mixing everything together with a spoon, or grab a clean tea towel to drape over the mixer and bowl. Whisk until light and fluffy. Then spoon into a piping bag (or you can freestyle with a spoon or knife and get spreading). 13. Pipe even swirls onto each cake starting from the outside, working inward to a peak. 14. 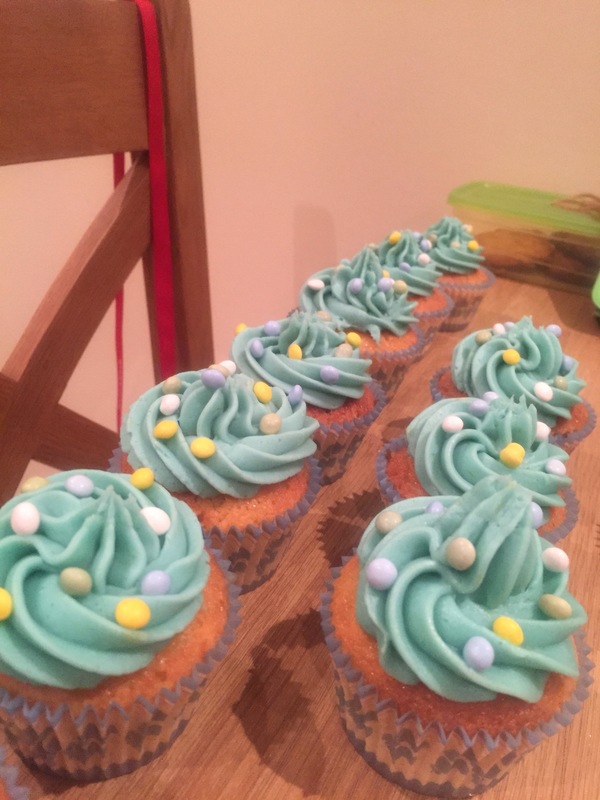 Sprinkle on your chosen sprinkles – I used pale blue, green, white and yellow sugar coated chocolate beans (like mini smarties) from the supermarket. 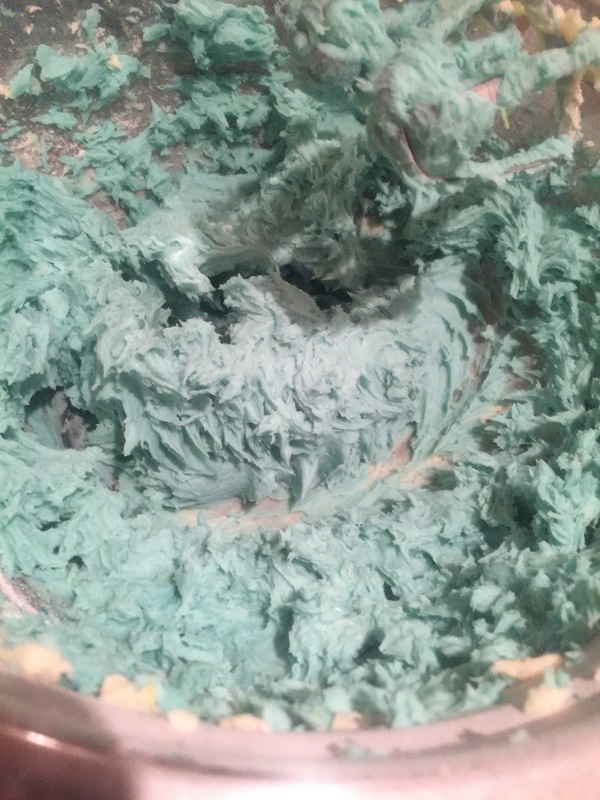 If you’re feeling extra creative (or flush) top with homemade cupcake picks or fondant decorations, or buy some sugar decorations form a local cake shop. There’s a DIY instructional on my blog as to how I made the cupcake picks. Now you’re all set for your shower or party!